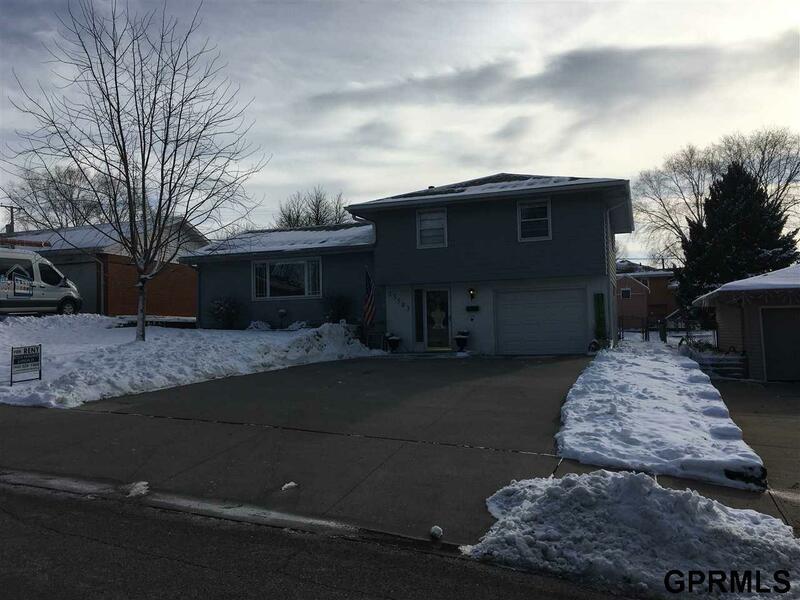 Nice and updated 3 bed, 2 bath, 1 car garage Split Entry located in Millard. Refurnished wood floors throughout, neutral color paint and remodeled bathrooms. Main level has Living room, dining room, eat in kitchen with all appliances. Full bath with tiled shower, 3 bedrooms and a master 1/2 bath. Unfinished basement lots of room for storage and laundry room. Fenced in back yard with covered deck, patio and storage shed. Small pet considered on a case by case basis. Deposit is the same as one month's rent. Available January 1st, 2019.